We like smiling. And with our wedding photography guarantee we are sure you will smile too - before, during and long after your wedding day. At Hazel Hannant Photography we also believe that it is your entire photographic experience that matters – not only the quality of imagery (although, naturally, that’s imperative too!). 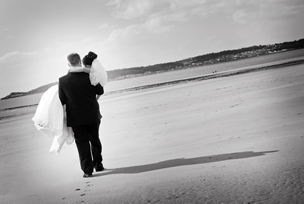 So, our aim is to capture the essence and energy of your day with stunning, creative and emotional images. Our wedding photography guarantee means that we will continually strive to ensure that you receive the perfect combination of an enjoyable service that fulfils your requirements and images that exceed you expectations. Although we believe in our service, we also feel it's important for you to trust us and realise that we value your wedding day as much as you do. That's why we've created our wedding photography guarantee. We want to give you complete peace of mind in everything we do. *Naturally, there are terms and conditions which apply to this but we mean what we say – we love what we do and we really want you to love it too! Please don’t hesitate to contact us to find out more about our wedding photography guarantee, its terms & conditions or to book your complimentary consultation.